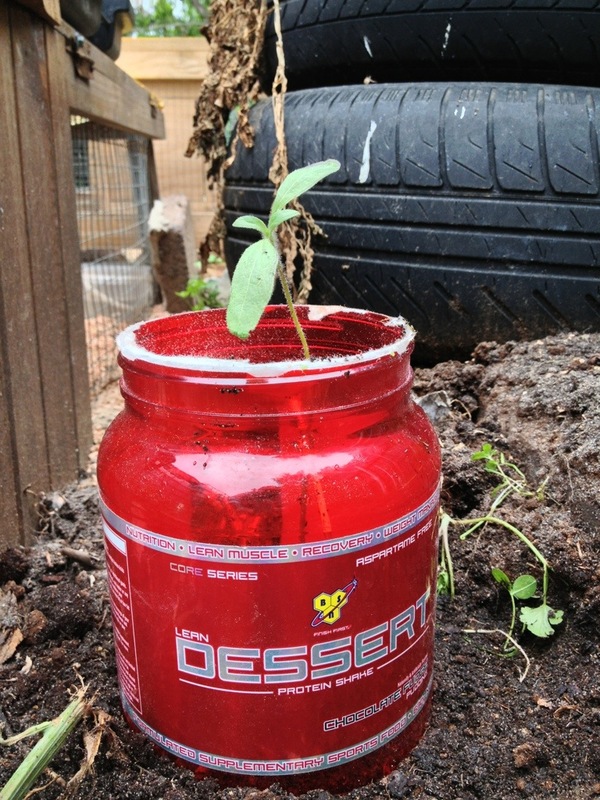 Will extra protein make this sunflower bigger, faster, stronger? Hey worst case – the container will keep out the snails and slugs, and those pesky little birds. Tags: Sunflower. Bookmark the permalink.